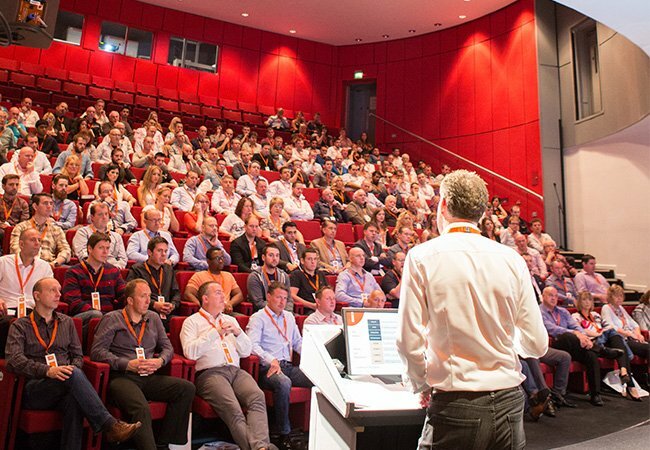 Vital Energi brought together over 200 of its staff for the first ever i’s Wide Open conference at the BT Convention Centre in Liverpool. The event was designed to give all employees a clearer understanding of the company’s current position as well as an in-depth understanding of their strategy for the future. I's Wide Open - The Objectives of the Event from Vital Energi on Vimeo. Ian Whitelock, Joint Managing Director at Vital Energi commented, “This conference is about sharing information which staff may not normally get to see. It’s about getting them to understand what we are doing as a company and why we are doing it. This has been a year of transformation for us. We’ve added two new aspects to our business, we’ve made significant investments in new teams of people and we’ve restructured the business and all of this has happened in a short 12 month period. Directors gave a number of presentations on subjects ranging from financial targets and energy strategy to an overview of our sister company, Vital Efficienci and what they have achieved. Employees also got the opportunity to take part in some fun activities throughout the day with the luckier amongst them winning prizes ranging from cash to extra days off. The day also provided an opportunity to hear our Support Services Departments about the fantastic work they do, which support the key functions of delivering a project. "All speakers were great and the way they interacted with everyone through their speeches, it was a good balance of fun, whilst hearing a lot about the business. There was a great vibe about the company and it highlighted what great people work here"
"The presentations, spirit and format of the day were excellent and made for a thoroughly enjoyable day. Well done to all involved in making the day a success." "A really good informative day, which gave a clear outline of where the company is heading." "I think it's great to see what's happening in the rest of the company, and all the different divisions, because we have lot a lot of divisions, so it's useful to see what everyone's up to." "It was a really successful day, I've been shocked how quickly the day actually went... I really enjoyed all the speakers and what they had to say. I found it very interesting and informative, really liked meeting all the other staff that I speak to on the phone but never met." "I enjoyed the whole day it made one feel that one was part of a very successful team and the future was positive." Vital Energi employees work on projects throughout the length of the United Kingdom, so it was a great opportunity for everyone to meet, socialise and learn more about the bigger picture at Vital Energi… We can’t wait for i’s Wide Open part II.